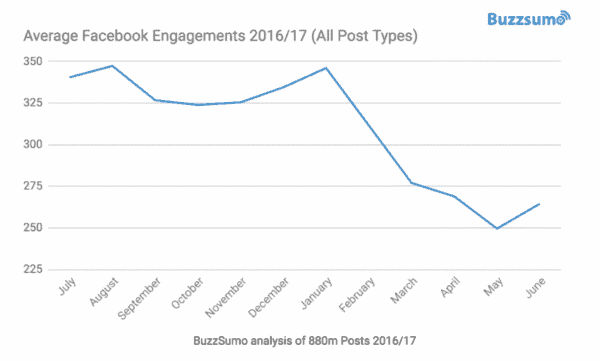 BuzzSumo has analyzed over 880 million Facebook posts to find out that Facebook page engagement has fallen by 20% since the start of 2017. Ouch! Sounds alarming for social media marketers, doesn’t it? With more than 2 billion monthly active users, 2,5 million advertisers, and 60 million small business pages, Facebook wants us to pay more for better results. It’s a business after all, and they actually warned marketers about organic reach decline back in 2013. In plain English, if you want more people to see your posts in their news feeds – welcome to Facebook Ads. What to do with organic reach? Especially, if you’re on a tight budget but with a great community of Facebook followers nonetheless. 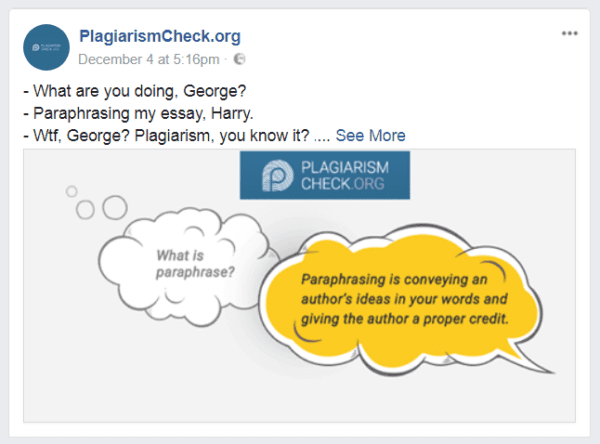 How can you influence the organic reach of your Facebook posts, given the fact you know and follow all copybook maxims a la “create comprehensive, engaging, and relevant content of a high quality”? The more algorithms Facebook develops to make marketers pay more, the more strategies of crafting effective FB posts appear for us to attract users and engage them in communication. 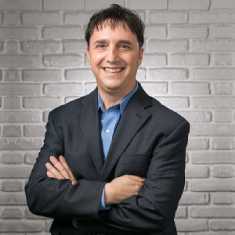 Rules change, new content types come to power, persuasive psychology sees a revival, storytelling and emotions rule the roost… To fly level in 2019, we marketers need to know and embrace all the above for better reach, engagement, and conversion. How then do we publish Facebook posts for increased engagement? No matter how popular visual content is, we still need text to communicate a marketing message to the audience. And when it comes to social media content, its word-oriented part needs to match several criteria in order to engage more users. People don’t come to Facebook for long reads. But even if they do, they won’t stop and read your text once they notice it while scrolling news feeds. They will scan its first two or three sentences to decide if they want to “See more,” so your task is to hook them from the very beginning. For that, keep the visible part of Facebook posts short and eye-catching (or even eyebrow-raising): create a wow-effect with your text so users couldn’t skim through it. 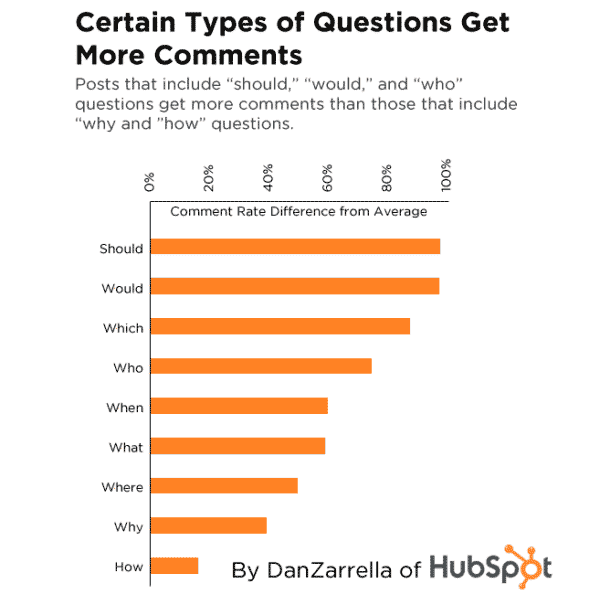 Did you know that certain types of them could get more comments? So, why not start yours with “should” and “who” instead of “how” and “why” to increase engagement? This is an easy way to publish Facebook posts for increased engagement. As far as we know, reading online is 25% slower than in print. So make it easier for users to reach your content and engage with it: write in simple words, don’t craft long sentences and paragraphs, forget about professional slang – who needs it in social networks? – consider power words and active verbs, and don’t be afraid of sharing your brand stories and challenges it meets. Make sure to finish on a positive wave, no matter what difficult times you describe in Facebook posts. Who wants to read bad news from their favorite brand? Don’t be afraid of humor, but make sure to use a situational rather than contextual one in your posts. Imagine your reader: what do they need right now? You have three seconds to attract – and 30 seconds to hold – their attention, so do your best to write punchy and concise texts. Taking into account the psychology of online reading, your Facebook posts need to be 50% shorter than an average blog post. Consider the inverted pyramid style of writing them: put a conclusion and key points first so users could see what they will get if continue reading, and describe the details afterward. To include or not to include? That is the question. Rumors have it, Facebook algorithms take links as advertising and limit the organic reach of such posts. What do some marketers do? They put a link to the first comment and ask users to check it there… But you know what? That’s a bulls**t.
With a hand on heart, admit it: how many of us go to comments in search of links? It’s +1 step for users to take, and people are lazy to invest extra effort in wondering what you want from them. So, it’s okay to link from Facebook posts, but do your best to keep it to a minimum. To trigger shares and comments from readers, accompany your Facebook post with visual content and calls to action. P.S. Emoticons are worth trying, too, if your tone of voice allows it. Numbers have it, Facebook posts with emoticons get 33% more comments than those without. If you want a post to look perfect, consider images of 1200X628 size: Facebook will crop it anyway, so you can’t risk a quality. Choose landscape images for Facebook posts: most users read content from mobiles, and horizontal pictures are easier to perceive. Don’t attach several images to your posts. (People are lazy, remember?) Follow the “one post = one image” rule, and if you are going to share collages – use two pictures maximum. To grab followers, make sure your images aren’t stock and boring. Use natural photos but don’t forget about their quality. Part 3: What about interactive content Facebook posts for increased engagement? 2019 is the year of video content. According to Livestream, Facebook Live is what most users enjoy watching; a social media marketer, you can’t ignore this trend for growing your brand. Taking into account the psychology behind Facebook likes, you might want to include different types of interactive content to your social media marketing strategy, as it can influence both organic reach and engagement rate. This will undoubtedly help you publish Facebook posts for increased engagement. What techniques to consider for making your video content rock? Value is what matters when you create content for Facebook. Make videos that teach your audience, provide them with practical tips or actionable techniques in your niche, give them instructions, explain how to do something step by step, etc. Influencers in your niche, opinion leaders, celebrities your readers love – they all can help you engage fans and promote your brand. Such streams give a better organic reach and trigger emotions from the audience. A product release or upcoming event from your brand will help to build anticipation among followers and trigger them to share the news. Also, consider making live stream videos during events in your company: it’s a great way to invite them to the backstage of your business. I bet Facebook isn’t the only platform for your business to communicate with the audience. 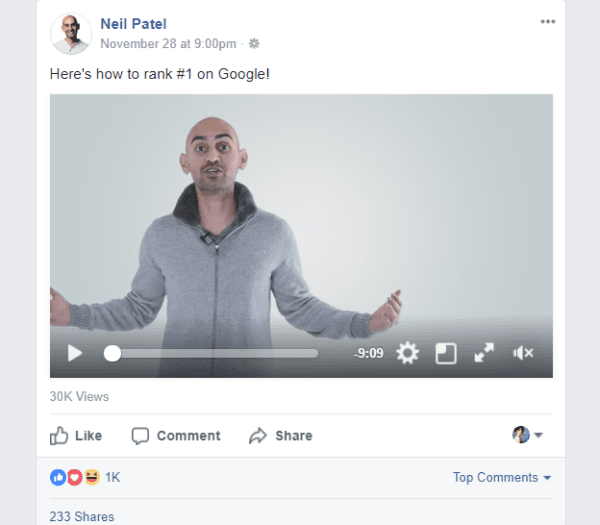 If you manage a blog with tons of comments to reply, why not follow the lead of Darren Rowse from ProBlogger.com and make a video with answers? Such video content will gather a massive viewership and will result in publishing Facebook posts for increased engagement. If you build a personal brand on Facebook, another technique from Darren might come in handy: announce and then stream a kind of #AskMeAnything column. 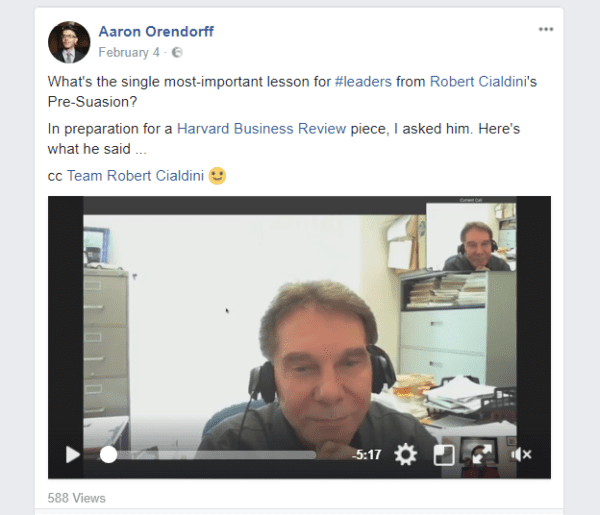 Check here to learn more video techniques for your Facebook page. To influence the organic reach of your Facebook posts, crafting them won’t be enough. What you need to consider is the audience optimization, the right time for publishing, the best content for sharing, and inviting people to become your brand followers. 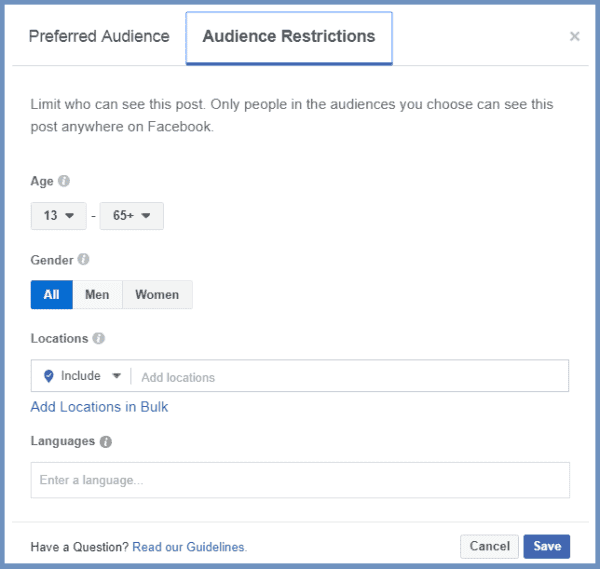 With Facebook tools for organic page posts – Preferred Audience and Audience Restrictions – you can target content by keywords for specific audiences to see it and for Facebook to understand what’s in there. In its turn, restricting the reach to relevant users will allow you to increase the engagement rate and thus allowing you to publish Facebook posts for increased engagement. 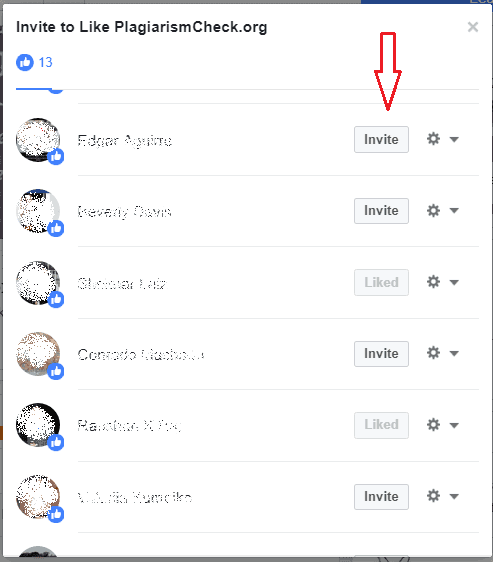 Invite those engaged with your Facebook content to become your page fans. It’s not about spamming people: if they respond to your posts positively, big chances are they like what you have in store for them. In other words, all those people are your lookalike audience to engage in communication with your brand. Gone are the days when you had to post 2-3 times per day for more people could reach your Facebook content. Quality, not quantity is key for organic traffic today because it brings better results: with more than a million links shared on Facebook every 20 minutes, your often but mediocre posts get lost in users news feeds. Follow the lead of Buffer: the focus on posting their best content has brought positive results. In 2019, there’s no need to publish on Facebook every day: analyze your greatest stuff, boost your top content, upcycle it, experiment with different content types on Facebook, and post at the right time. Yeah, I know you’ve read dozens of articles about the perfect time to post content on social media. HubSpot says Thursdays and Fridays (1 pm – 3 pm) are best, CoSchedule recommends weekends (1 am – 4 pm), and Buzzsumo insists on off-peak times to publish Facebook posts. None of them will work if your data tell the target audience isn’t on Facebook during the aforementioned time. There are no universal best hours for posting; publish your best content when your audience is online. 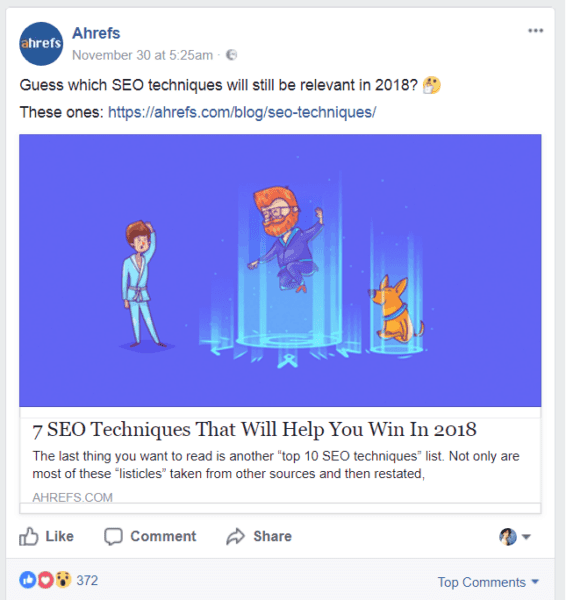 In 2019, is there any chance to influence your Facebook organic reach and publish Facebook posts for increased engagement with no budget in a pocket? Craft top-notch and relevant content. Make sure you use visual content right. Consider different types of interactive content, including live videos, polls, games, and contests to trigger the feedback. Follow the “less is more” principle: focus on the quality of your Facebook posts that bring value to readers. It’s a challenge and hard work to bring your organic reach back, but the sky is the limit for those forearmed with strategies and instruments. And you have them now. So go out there and write Facebook posts for increased engagement and let us know how you do! This is brilliant! Thanks for the ideas. Cheers! Thanks for sharing this great information with us. Very helpful. I love the many suggestions that you have going into 2018 for Facebook posts. It’s a constant struggle that I see as the organic reach continues to drop it makes sense to focus on quality vs quantity. Many Great suggestions. By applying several over the past year, one of our pages enjoys REACHING 65% of LIKES Organically. Actually have had the Organic REACH exceed the number of LIKES on a few post. We engage heavily and ASK fo help. It is human nature for people to share with others that which they LIKE. It is not uncommon to have 400-600 shares on a post. Thanks for your comment, Chuck! Agree with you: appealing to human nature in posts, we increase chances to get feedback from readers.